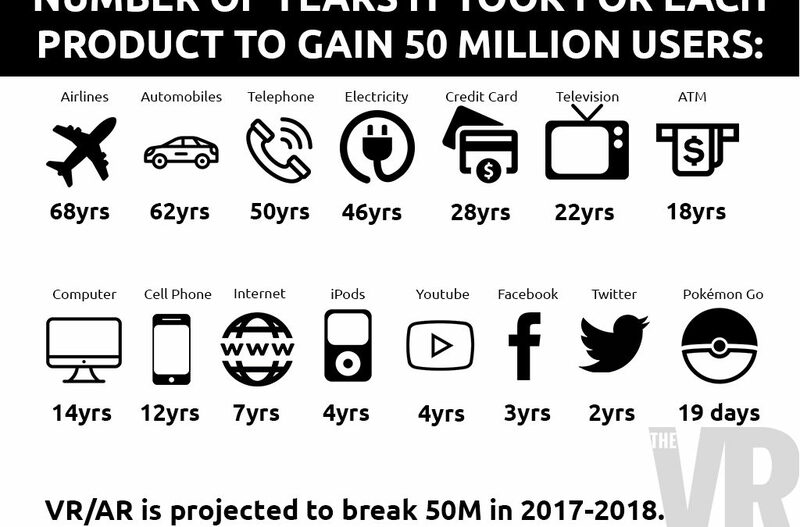 An interesting infographic was being widely shared on my Linkedin Newsfeed this past week – The Number of Years It Took For Each Product to Gain 50 Million Users. 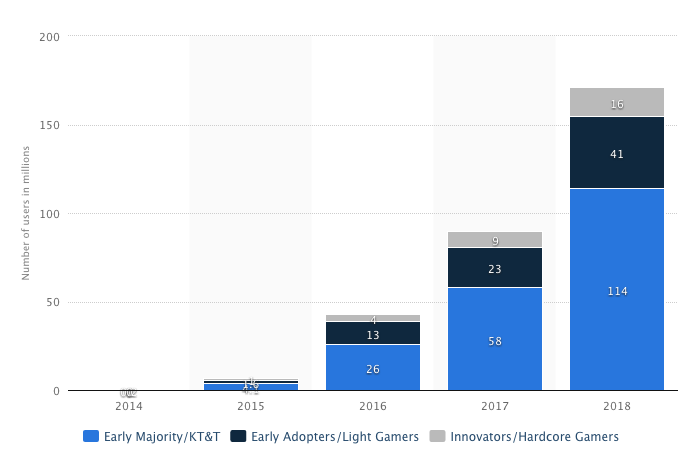 It portrays a comparative on product adoption for the biggest consumer technologies in the last 100 years based on reaching 50 million active users. The core narrative shows that technologies, post-Internet’s 50M user adoption, accelerates to only a few years, instead over decades. And most recently, the hit sensation Pokemon Go reported to hit 50 million users on android devices in it’s first nineteen days of release. If you are selling or pitching VR/AR to clients (or any early adopter consumer technologies for that matter), this infographic should be in your presentation deck in some shape or form. It tells the transitional story of how we’ve evolved as a society of mass consumers, and thanks to the mass acceptance of PCs, mobile phones, and the Internet, our ability to consume new technologies has become exponentially shorter than it use to be in the last one hundred years, BUT there are a few provisos. 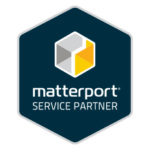 Relevant to the world VR/AR, it can help paint a clear picture of how VR/AR is maturing, and why companies should shift to this new medium, sooner, than later. Like most quantitative data, there are qualitative variables to account, such in this case for mass market adoption. Logically speaking, you see that many consumer technologies are contingent of a antecedent tech. (Without mass adoption of computers, mobile phones and the internet, applications and websites such as Youtube, Facebook, etc would not be able to survive, and so on….) While high quality VR headsets remain at a higher price point (such as most early adoption technologies), it can slow down adoption rates. However, the ability to access VR/AR with a $20 Google Cardboard headsets and your mobile phone, and or by simply viewing it from the comfort of your tablet or smart phone (like in the case of AR) will open the flood gates a little more for this tech. 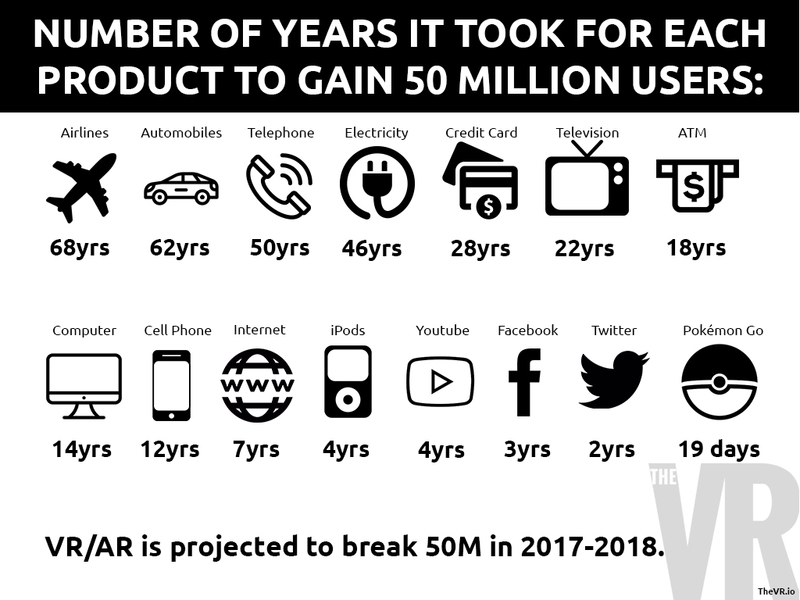 While 50 million users is a great benchmark for technology adoption, we must remember to account and plan for market longevity. Looking at the tremendous performance of Pokemon Go, it’s uncanny ability to hit 50M so quickly was thwarted by it’s inability to stay a #1 performing application as the months went on. Unity’s CEO, John Riccitello recently presented at VRLA2017, proclaimed VR mass adoption but advised against “hype” until this technology gets there. While we see it this in the case of Pokemon Go, VR/AR will stand strong as long as it shows value to the market particularly to gamers, advertisers and businesses (a.k.a., so long it brings in revenue).